Cord blood is found in the placenta and is gathered from a vein in the umbilical cord. All currently FDA-approved uses of cord blood involve stem cells from cord blood. Cord blood is a proven source of Hematopoietic Stem Cells (HSCs) and the first choice by doctors to treat approximately 80 diseases1. With over 30,000 cord blood transplants in the past 20+ years, cord blood is the obvious first choice of cells to bank. Cord blood and cord tissue both contain various types of stem cells. While both are collected at birth, they are processed and stored differently and independently. Collecting both cord blood and cord tissue is recommended to yield the highest amount possible of viable cells. Around 25 years ago, the first human transplant using umbilical cord blood stem cells was performed. At the time, only one disease was treatable using cord blood stem cells. Today, cord blood stem cells can be used in the treatment of nearly 80 diseases* and the list continues to develop1. Parents only have one chance to collect their child’s cord blood and cord tissue. Cord blood contains potentially lifesaving cells called stem cells, which can be used to help treat a variety of juvenile disorders; and since they are a perfect match to your child, there is no fear of rejection. One of the best things about storing your child’s stem cells is the piece of mind knowing that your child will always be a 100% match to his or her cord blood and cord tissue stem cells. Many times the odds of finding a donor can be as low as 1 in 5. In addition, siblings and parents are also potential matches to your child. 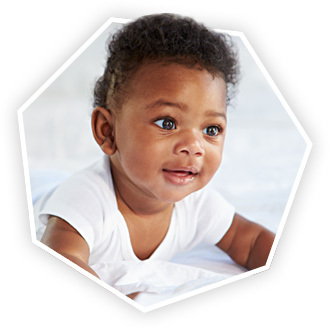 Our kits are designed to keep your baby’s Cord Blood and Cord Tissue safe and protected from environmental conditions, while being transported back to our laboratory for processing. All currently FDA-approved uses of cord blood involve stem cells from cord blood. Cord blood is a proven source of Hematopoietic Stem Cells (HSCs) and the first choice by doctors to treat approximately 80 diseases . With over 30,000 cord blood transplants in the past 20+ years, cord blood is the obvious first choice of cells to bank. Studies show that there is up to a 6-fold increase in engrafted cells for transplant when cord blood and cord tissue .